Poll: Longest cruising yacht for single-handed sailors? View Poll Results: Longest cruising yacht for single-handed sailors? Thread: Poll: Longest cruising yacht for single-handed sailors? Re: Poll: Longest cruising yacht for single-handed sailors? An American friend of mine who's around 70 years old single-hands a 55ft Benneteau. It does have electric winches and that joystick docking thingie. What I really dont understand why people think that every boat larger than 50' is difficult to single handed. I learn how to sail on a 40' boat. Then I buy 55' now I sail single handed a 65' custom made boat because my wife dont know anything about sailing. Of course she help me with buoys etc but this can be easily done by myself also when preparing to e ter harbour. What U need is good line management and hightech gear. I sit down with the designers and discuss what I want and what can be done. Bow and stern thruster, 6 electric winches, hightech gear. This way I manage the 65'boat very easy by myself. And I dont get why everybody say that the maintance of larger boats are more $$$. When something get broke on a 40' or on 60' cost usually almost the same price. Penta d3 on 40' or penta d4 on 60'. U dont replace the entire engine but one part and the parts are usually the same. I got my 65' for almost 1,5 year and one thing that I changed are the oil, fuel, water filters and smal thing on the engine. It is absolutely built for the job a fantastic boat. Forget the other aluminium boats of a similar size. This company have it totally cracked. The OP still hasn't said what he means by "cruising". If it's blue water cruising, the answer is very different from Solent cruising. 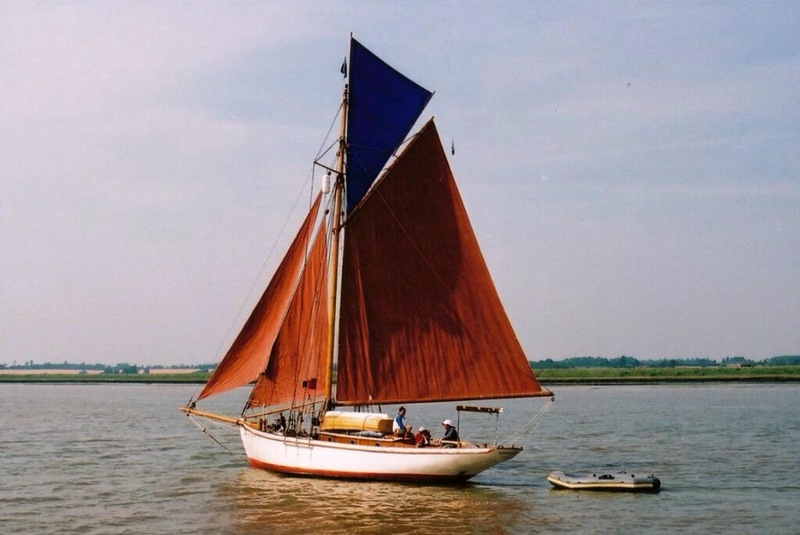 I singlehanded a 37ft gaff cutter for thirty years; she had been designed to be handled by a couple and was very easy despite the lack of any modern gadgets. She had a manual windlass, no wInches, staysail was self tacking, roller furling jib, roller reefing mainsail. When I bought her she actually had no electrics at all and had been sailed by the previous owners, an elderly couple, for thirty years. Displacement was 20,000lbs and of course long keel. 1. Much, much, more friction in the rig. Very often the approach seems to be "add a winch" rather than "eliminate the friction". I absolutely detest, and consider unsafe, sails that don't come down or reef when they ought to, which is when I first think about it! 2. Sloop rather than cutter rig means graunching the expletive deleted headsail in on every single tack. On the old gaff cutter the staysail took care of itself and you just cast off the old and belayed the new jib sheet at the psychological moment. Easy. 3. Very many boats have cockpits optimised for sailing with a crew on deck. I think that a cruiser should be capable of being sailed by one small woman on deck! I just found and re-read my old post. Did I buy a nice 33 footer? That's 33 Texan feet*, isn't it? Well, she is a cutter - just rather a big one. 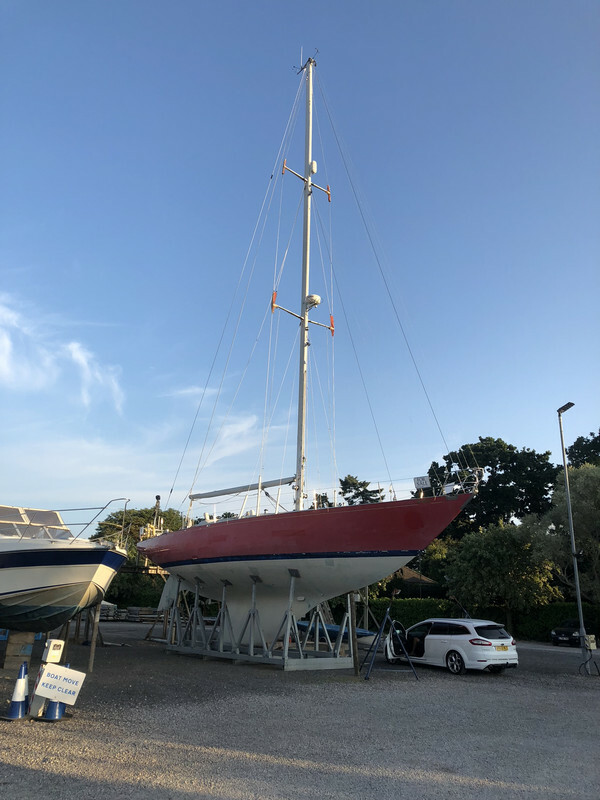 Honestly, of all the boats I looked at, she was in the best condition for the price... Talking of marina bookings, she has spent her whole life (“one careful lady owner”) with a Certificate of Registration which understates her length by four metres! Last edited by Minn; 24-01-19 at 00:38. All times are GMT. The time now is 08:04.